It’s too stinkin’ hot here to cook…unless it’s done in the crockpot or outdoors. We grill a lot when it gets as warm as it is here right now, often waiting until nearly dark to have dinner. Yesterday it was still above 90 degrees at 9 in the evening, which is about the time we fired up the grill. 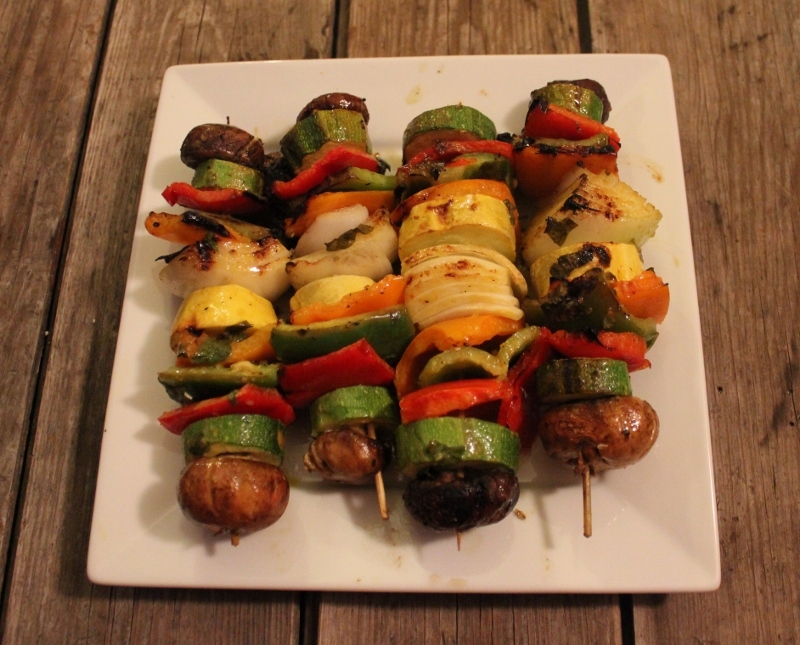 One of our favorite dinners on nights like this is grilled veggie kabobs with a big salad. 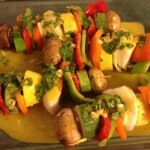 Here’s the deal with veggie kabobs: you can put whatever vegetables and/or fruits on them that you like. The kabobs pictured here are lazy kabobs, meaning they were purchased at Trader Joe’s. But they aren’t far off from what we put on kabobs when we make them ourselves. 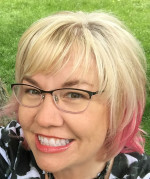 I like to spear a little fresh pineapple on mine, perhaps 2″ chunks of sweet corn on the cob. The ever-presents for us are zucchini, green and red peppers, onions and mushrooms. Make these yours and have fun putting whatever veggies you collect from the garden or the farmers market onto your skewers. 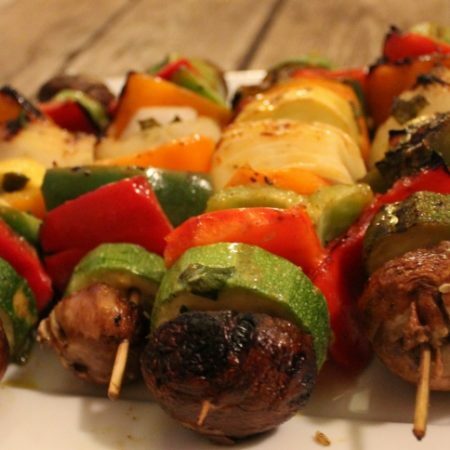 Place veggie kabobs in a baking dish. A 9 x 13 is a good size for four kabobs. 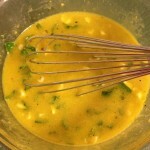 Pour marinade over the kabobs. Cover and refrigerate for at least two hours. After an hour or so, you can flip the kabobs. Heat your grill to medium. 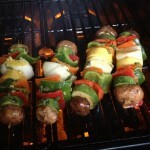 Place kabobs on the grill, reserving marinade, and grill for about 5 minutes before flipping them. When you flip the kabobs, baste with remaining marinade. I baste 2 or 3 times during cooking. « Strawberry Cream Cheese Frosting: Surprise, It’s Dairy-Free! I’m making a greek fest. Also this will be my first attempt and making felafels. The Cici beans have been soaking all nite.